We are an eminent Manufacturer, Supplier and Exporter of Antimalarial Syrup. 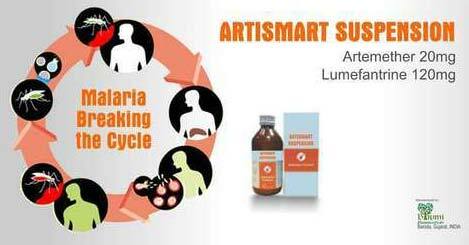 The Antimalarial Syrup offered by us is known for its accurate composition, long shelf life and high efficacy. Special care is taken about the packaging of the Syrup before the final dispatch. We have all the in-house facilities to deliver bulk orders of the Syrup within the promised timeframe. Buyers can obtain the Syrup at competitive rates.